CarGurus has 13,365 nationwide Yukon XL listings starting at $2,995. Aside from touch screen DVD navigation and Stabilitrak electronic stability control, the Yukon XL full size SUV didn't change too much for 2005. Drivers get their choice of two V8 powertrains: a 5.3 L, 295 hp model or a 6.0 L, 335 hp. The Yukon with the extended wheelbase comes in 13 trims in the last year before GMC decided to scale down the variations. Expect gas mileage to come out to around 14 mpg in the city and 19 on the highway. All trims have 4 doors and seat 9 passengers. Max towing capacity ranges anywhere from 8000 to 9000 lbs. Max cargo capacity comes out to around 132 cubic feet. Overall, drivers especially appreciate the '05 Yukon XL's roomy interior and powerful V8 lineup. On the other hand, critics would like to see better materials and less bulk for a less stressful ride in tighter residential areas. 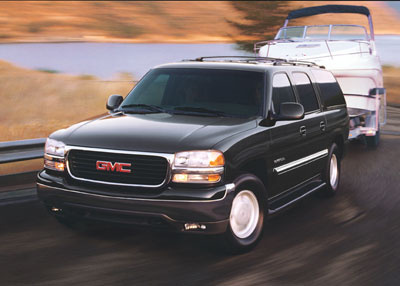 Despite the shortcomings, the 2005 GMC Yukon XL should satisfy any SUV fan's desire for power and modern features. 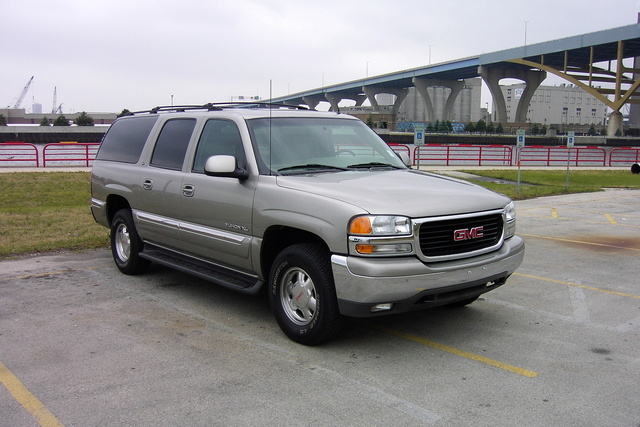 What's your take on the 2005 GMC Yukon XL? Have you driven a 2005 GMC Yukon XL? When I reverse sounds like metal is under car? Our Yukon stalls when turning a corner or coming to a stop. As long as its moving its fine. Could this be a fuel pump issue or water in the tank? Are The 2nd Row Bench Seats From An 05 Denali Compatible With A Denali XL? 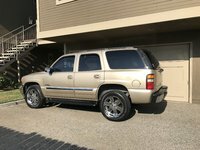 How Can I Find Out If My 2005 GMC Yukon Denali Has A Remote Start?